Adorable golden retriever puppies are what every military parade needs. 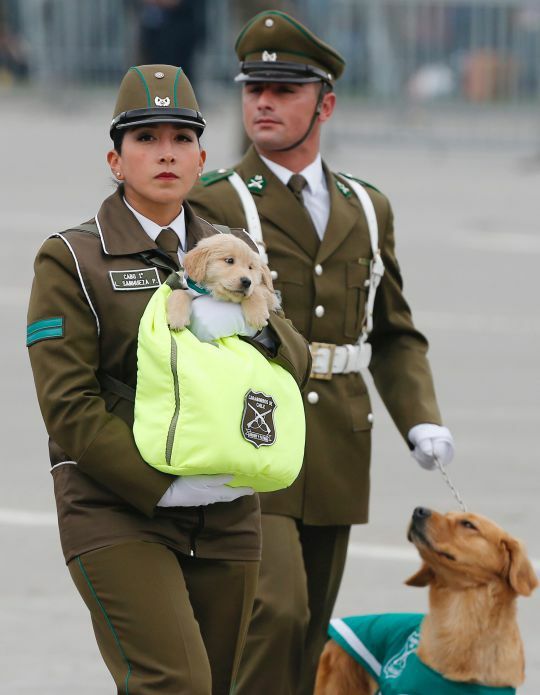 On Thursday, more than 9,500 Chilean troupes marched for the Great Military Parade as part of the 208th Independence Day anniversary, and the Canine Unit completely stole the show. Police trainers marched with a battalion of fluffy pups snuggled against their chests, supported by neon green pouches. Their little heads poked out, excited, sleepy and downright bemused. These perfect pups will grow up to be adult police dogs but right now, they’re just starting their training. They already know how to be overwhelmingly cute, so they just need to get the police stuff down to pat. The puppy parade was followed by a troop of grown up good boys, golden retrievers and Labradors who were all wearing little booties. Each dog was led by a uniformed officer, but let’s face it – all eyes were on the pups. 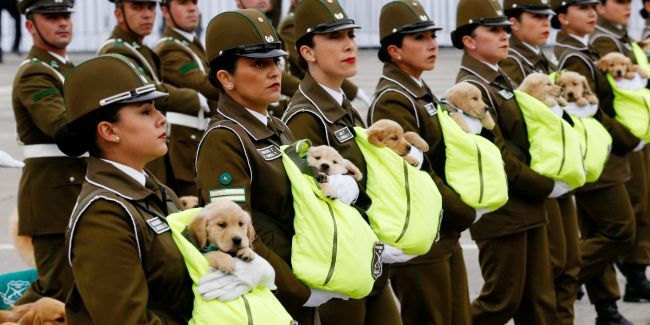 The Canine Unit is part of the country’s national police force, called the Carabineros de Chile.